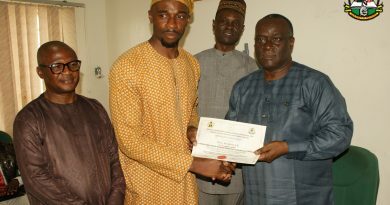 MLSCN REWARDS ACADEMIC EXCELLENCE AS STUDENT BAGS FIRST CLASS. 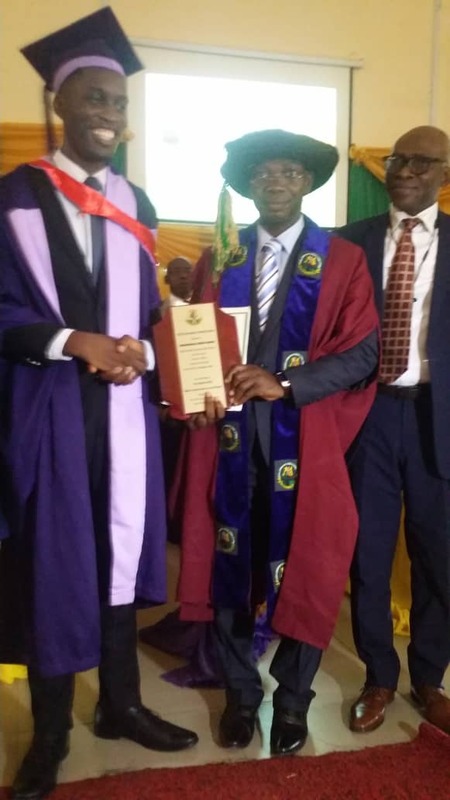 The Ag.Registrar/CEO of the Medical Laboratory Science Council of Nigeria (MLSCN) Sir Tosan Erhabor, in his sustained commitment to encourage scholarship gave an award/cash prize in an induction ceremony at the University of Benin (UNIBEN). 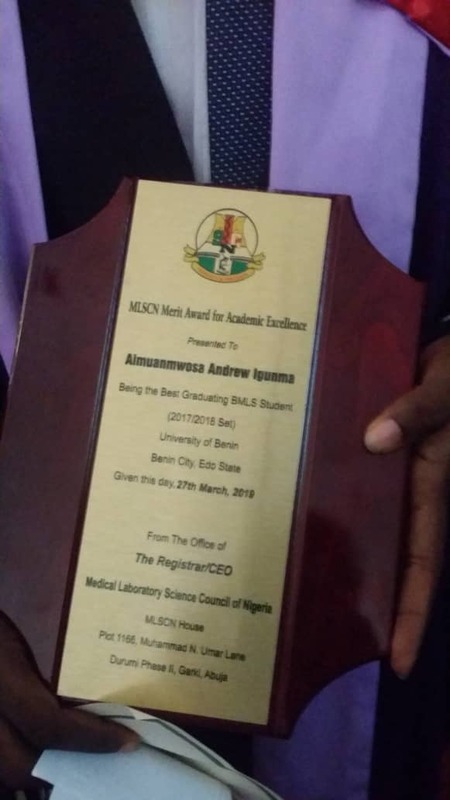 The recipient of the Council’s award, Mr IGUNMA AIMUAMWOSA ANDREW graduated with a First class honours degree in Medical Laboratory Science and emerged the best graduating student in the department for the 2017/2018 academic session. This feat separated him from his peers and qualified him for the coveted award donated by the MLSCN. 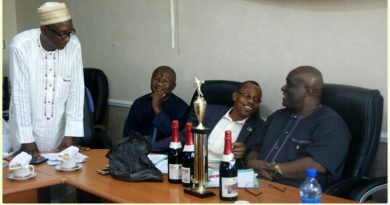 Also in recognition of his brilliance and exemplary character, Igunma received a cash award from the Registrar of the Council as presented by the representative of the Ag.Registrar /CEO, Mr G. Aikpitanyi -Iduitua. 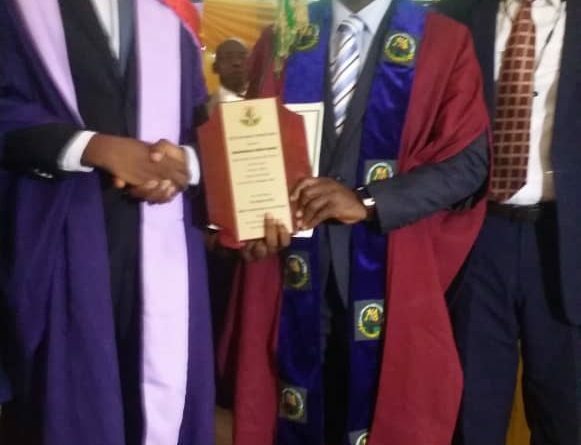 The Thirty Six (36) newly inducted Medical Laboratory Scientists were charged to abide by the code of conduct and ethics of the profession with the assurance that MLSCN will do everything within her powers to make their transition to the noble profession less cumbersome. They were also informed that MLSCN had recently accredited more Laboratories in the public and private sectors as well as military formations for the training of interns with a view to getting them undergo pupillage and mentorship before entering into labour market. 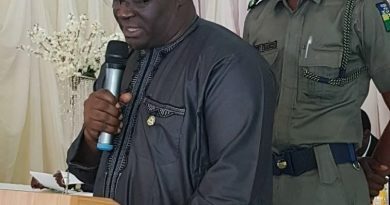 They were similarly informed of the efforts ongoing at the Federal Ministry of Health to harmonise and centralise the posting of interns aimed at ameliorating the hardship faced by some newly inducted Medical Laboratory Scientists while trying to secure a place for internship. The Registrar congratulated the inductees and wish them Godspeed in their professional journey.